Where it all started. Supplying Foreign-Language books to libraries and schools since 1985. Reputed for the best service and leading-edge technology. Tailored services for your library - Supplier Selection, Marc Records and full EDI. Our mission is to ensure that Foreign stock can be procured and processed in the same manner as your Mainstream stock. You can read more at booksasia.co.uk. A local Community Project we started in 2005. 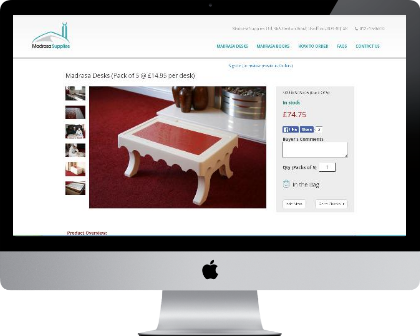 Our Madrasa desks are now sought after by Madrasas and Mosques across the globe. After consulting with Madrasas globally, we will also introduce a standard set of Study Books in 2016. Desks can be ordered by a Madrasa, or purchased as 'Sodgha' (donations) by Individuals for their favourite mosque. Visit the website for more information, and Ordering Online. You can read more at madrasasupplies.co.uk. We are working with the top Indic Authors and Publishers to bring you an amazing selection of books. There's an interesting twist... The books will be printed and bound using the latest (and greatest) technology, here in the UK. Our aim is to fuse eastern-world literature with western-world print quality. There's lots to setup here, and we hope to start production in early 2019. You can read more, or register your interest as a Publisher or Author at booksasia-publishing.co.uk. We partner with leading companies in the Library and Publishing industry to ensure the best possible range of products and services. In particular, we have forged close relationships with Bertrams and Rajpal - our strategic roadmap will continue to build on these links over the next few years. BLS is the world's leading library supplier. 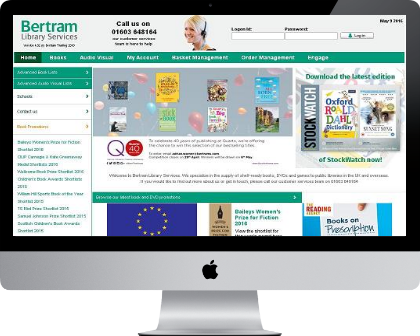 Owned by Smiths News, their portfolio of companies also include Bertram Books and Dawson Books. Our Strategic Partnership was formed in 2010, enabling us to fulfil their global foreign-language requirements. You can read more in the Dec2010 Newsletter or the Apr2012 Newsletter. You can learn more about Bertrams at libraryservices.bertrams.com/BertramLibraryServices. The Alexandria Library is an exciting new Bookshop in the heart of multi-cultural Manchester. Located on the 'curry-mile', it is ideally placed to meet the needs of a very diverse community. We are delighted to work with the team at Alexandria, and will exclusively offer our wide range of languages through this retail outlet. This partnership is set to launch in September 2016. Arabic, Bengali, Gujarati, Hindi, Kurdish, Punjabi, Tamil and Urdu books will be available - making it the most diverse bookshop in the North of the UK. 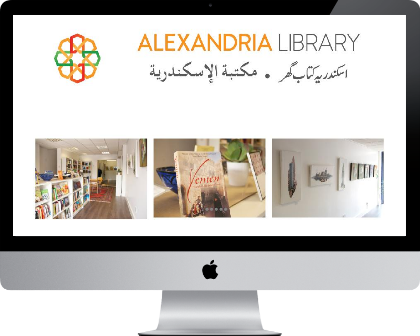 You can learn more about Alexandria at Alexandria Library (Manchester). Rajpal and Sons was founded in 1912 in Lahore by Shri Rajpal Malhotra, a journalist-turned-publisher. Since 2012, Rajpal and Sons has established its global presence by setting up sales operations in the USA and the United Kingdom. We teamed up with Rajpal in 2013 to fortify our position and reputation as the best Indic Library Supplier in the UK. 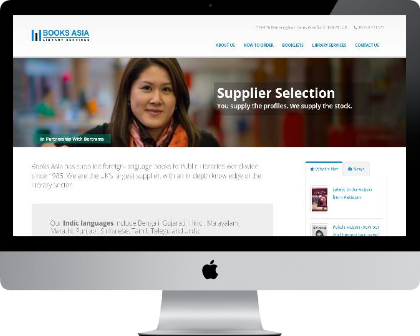 Our combined knowledge has encouraged the majority of libraries to use Books Asia as their 'go to' supplier. 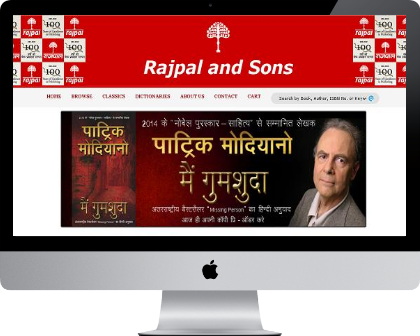 You can read more about Rajpal at rajpalpublishing.com.